These Cabinets are some of the finest cabinets available. They are made of steel with electrostatic white epoxy primer finish. Cabinets include a continuous hinge door and acrylic front with squared edge construction. 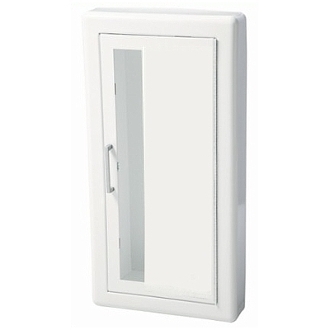 This model has rolled edge construction, equipped with zinc-plated pull handles, roller catches and a duo panel door. Tub A 24" B 10 1/2" C 5 1/2" Frame E 27 3/8" F 13 7/8" Wall Opening H 25" W 11 1/2" D 4"